Our cozy King Room is appointed with classic furniture and tasteful color palettes. 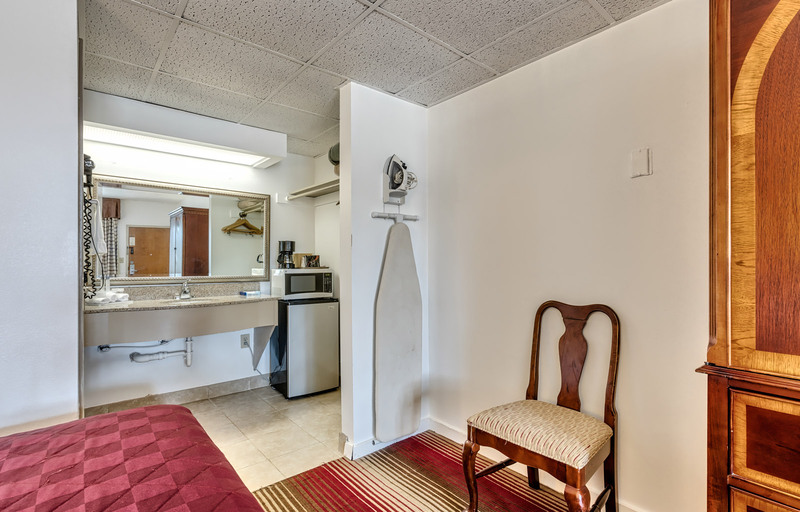 In-room comforts include complimentary Wi-Fi, a newly renovated bathroom, microwave and refrigerator. One comfortable King bed makes this room ideal for couples.